David Ogden Stiers, best known for his role as the arrogant surgeon Major Charles Emerson Winchester III on “M*A*S*H,” died Saturday. He was 75. His agent tweeted that he died of bladder cancer at his home in Newport, Ore., according to Variety. For his work on the sitcom set in the Korean War, Stiers was twice Emmy-nominated for outstanding supporting actor in a comedy or variety or music series, in 1981 and 1982. Variety recalled that he earned a third Emmy nomination for his performance in NBC miniseries “The First Olympics: Athens 1896” as William Milligan Sloane, the founder of the U.S. Olympic Committee. The actor, with his educated, resonant voice, was much in demand for narration and voiceover work, and for efforts as the narrator and as Cogsworth the clock in Disney’s hit animated film “Beauty and the Beast,” he shared a Grammy win for best recording for children and another nomination for album of the year. Among his many credits, Stiers worked repeatedly for director Woody Allen, appearing in “Shadows and Fog,” “Mighty Aphrodite,” “Everybody Says I Love You” and “Curse of the Jade Scorpion." On “M*A*S*H,” Stiers’ Major Winchester was witty where his predecessor, Frank Burns had been vapid. And with his Harvard education, he was a match for Alan Alda’s Hawkeye in the operating room, where the surgeons routinely performed what they often called "meatball surgery." The show has been experiencing a popular renaissance, as it marks 35 years since a series finale that drew an astounding 106 million viewers, according to The Washington Post. He starred in "M*A*S*H" from 1977 until 1983 and also appeared on the "Mary Tyler Moore Show," "North and South," "Star Trek: The Next Generation," amd "Regular Show," among other programs, according to Entertainment Tonight. David Allen Ogden Stiers was born not in New England but in Peoria, Ill., Variety said, though the family moved to Eugene, Oregon, while he was in high school. He briefly attended the University of Oregon, began his professional career at the Actors Workshop in San Francisco, the California Shakespeare Festival and improv group the Committee before heading East and, starting in 1968, attending New York’s Juilliard and then joining at launch the Houseman Acting Company, where he was mentored by venerable actor and "Paper Chase" star John Houseman. Stiers was also musically inclined: He served as the associate conductor for the Newport Symphony Orchestra in Oregon and guest-conducted dozens of orchestras around the world, said Entertainment Weekly. In 2009, the actor revealed publicly that he was gay. He told ABC News at the time that he had hidden his sexuality for a long time because so much of his income had been derived from family-friendly programming. Charles Emerson Winchester III. Memorable character. "But know this...You can cut me off from the civilized world, you can incarcerate me with two moronic cellmates, you can torture me with your thrice daily swill but you cannot break the spirit of a Winchester. My voice shall be heard from this wilderness and I will be delivered from this fetid and festering sewer!" 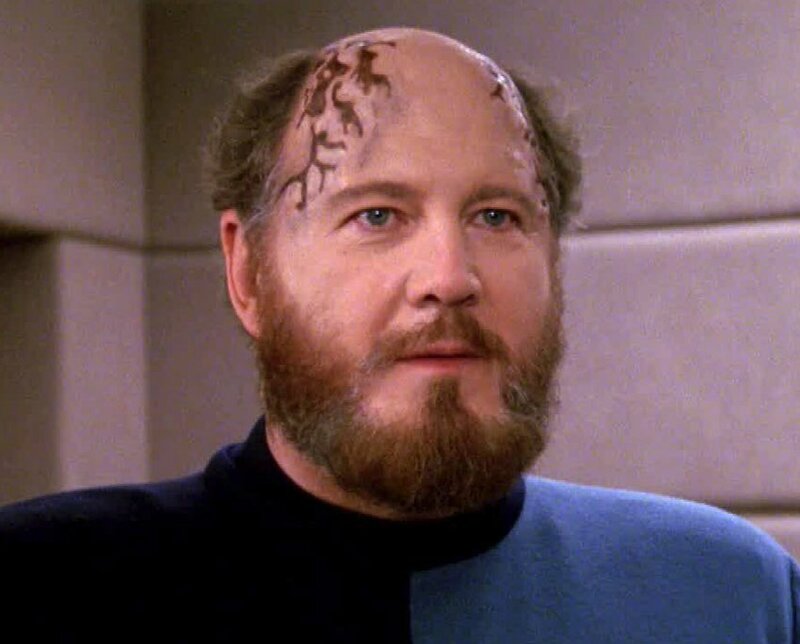 The episode of Star Trek: The Next Generation, "Half A Life" playing Dr. Timicin, was really good. It was sort of a take on Logan's Run where, according to Timicin's cultural tradition, his people voluntarily choose euthanasia to prevent the aged from becoming a burden to the younger generation. Lwaxana Troi tries to talk him out of it, and for a while he agrees. But his children's pleas remind him of his culture, and he falls back in line with the ritual suicide, thereby ending his life. It was where space travel and science fiction took a back seat to a story about humanity, culture, tradition, and love. It's a great stand-alone episode.